Scott D. Pierce • You’re not required to like the wildly popular sitcom, but hating on it is childish. (Monty Brinton | CBS) CBS has renewed “The Big Bang Theory” through the 2018-19 season. Kunal Nayyar, Melissa Rauch, Mayim Bialik, Simon Helberg, Johnny Galecki, Kaley Cuoco and Jim Parsons star. “The Big Bang Theory” is the soccer of TV shows. It’s beloved around the world. But it has more than its share of haters who not only declare it beneath them, but deride the show’s fans as ignorant. Those people are, of course, the worst. 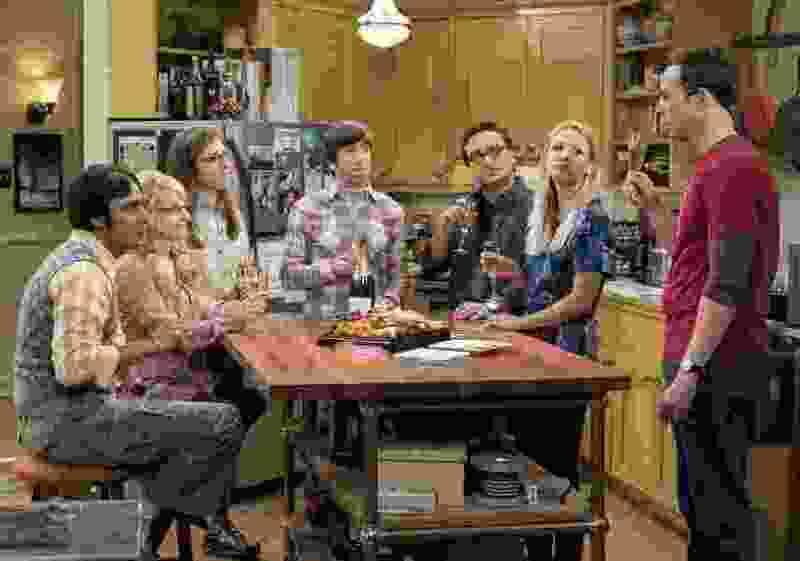 “Big Bang ” is by far the most popular comedy on broadcast TV. (New episodes air Thursdays at 7 p.m. on CBS/Ch. 2.) Repeats are the most popular comedy on cable and in syndication. Millions tune in because they find it funny. They like the show about scientists/nerds who have, over the course of 10½ seasons, found girlfriends and wives. But the show’s detractors use that as a mark against it. Anything that’s that popular can’t possibly be good, right? I’ve been a fan of “The Big Bang Theory” since it premiered in September 2007. I believe I’ve seen all 243 episodes that have aired to date. I’m not trying to tell you every episode is great, but every episode has at least made me smile. And the better episodes make me laugh so hard I have to pause the show on the DVR so I don’t miss anything. We could go into a long, esoteric discussion of how the comedy is constructed. How it has grown and changed, yet remained the same. But, honestly, who cares? It makes millions of people laugh, and that’s the bottom line. The arguments against “Big Bang” are that It’s too broad. Not refined enough. And — gasp! — it’s a traditional, multicamera sitcom, shot on a soundstage in front of a studio audience. Some sitcom snobs insist that traditional sitcoms are inherently inferior to filmed comedies, which are shot like movies. That’s a ridiculous argument. Funny is funny. There are excellent filmed comedies, but — as is the case with traditional sitcoms — there are more bad ones than good ones. If you don’t like “The Big Bang Theory,” I’m not going to tell you that you should. TV is subjective; if we all liked the same shows, there’d only be one channel and I’d have to find a new job. But I don’t understand “Big Bang” haters any more than I understand soccer haters. If you don’t like soccer, don’t watch it. I’m not a huge baseball fan — sort of a casual fan who gets excited when my team makes the playoffs. But I don’t waste time mocking obsessed baseball fans. If you don’t like Sheldon, Leonard, Penny, Howard, Raj, Bernadette and Amy, don’t watch them. But don’t tell “Big Bang” fans they’re stupid for liking the show. That’s childish.